Daniel has worked in several markets including house of worship, educational & corporate AV production, with clients such as City of Scottsdale, Gila River Indian Community, John C. Lincoln Hospitals, and the Herberger Theater Center. Daniel has had the opportunity to work with architects, engineers, contractors and end-users to create incredible entertainment experiences. Daniel has also served in churches as an ordained minister in Arizona for over 10 years. This diverse insight and background enables Daniel to understand the creative needs and technical requirements of corporate activities, performance venues and modern houses of worship. Rod has worked in the Audio/visual industry and commercial systems integration for over 40 years. He truly loves the impact a well designed system and the content it communicates will have in changing people's lives, whether it be spiritually, educationally or just to entertain. He has owned his own Integration firm and played a key role for 16 years growing the nation's 4th largest Audio Visual integration firm. He has a client list that includes Intel, American Express, Talking Stick Resort, ASU, University of Arizona, NAU and hundreds more. Rod has a level of experience and perseverance that is a requirement for being involved in the best and most challenging AV integration projects. Mikol found his passion for music & AV when he was just in the 6th grade. Since then, he has served at his church playing in the worship band, leading tech teams & enjoys meeting fellow AVL techs. His heart for ministry is evident in his relentless pursuit to solve technical issues & find solutions to problems others dismiss as impossible. Mikol loves being creative in his approach to developing systems that streamline the needs of growing churches. He has designed several portable AVL systems for churches & brings firsthand knowledge to the unique challenges involved. Mikol is very excited to join the talented team at 5WM and be a part of a team that settles for nothing less than excellence. Kobus comes to us on loan from Waterstone Isles, a subsidery of 5WM. Kobus graduated University and spent the first 10 years of his life learning about the Construction Industry in South Africa. After this work, Kobus moved on to become an Independent Project Manager in the construction industry specializing as a Client Representative. He has also served on the Boards of Directors of many companies during his career. Kobus brings a vast amount of skill & knowledge to the operational side of 5WM, with the knowledge of improving processes and procedures in order to quality control projects to benefit of clients. He is excited to join the 5WM Team! Audra has spent the last 13 years working in many facets of customer service and sales, utilizing her skills in personal relations and organization. Having previously worked in the pool industry, she has overseen large company account purchasing while scheduling the phases of construction projects. Audra has performed as a vocalist for many years and her passion with performing arts allows her a unique insight on the dynamics that AV and lighting can bring to venues. Before joining 5 Words Media, Tommy served for 15 years on staff at Dream City Church, a mega multi site venue, as the Media/Production Director & Director of Development/Facilities & he continues to serve on its Board of Directors today. DCC is known for its Broadway style/LED Christmas Show where over 75,000 people each year attend. 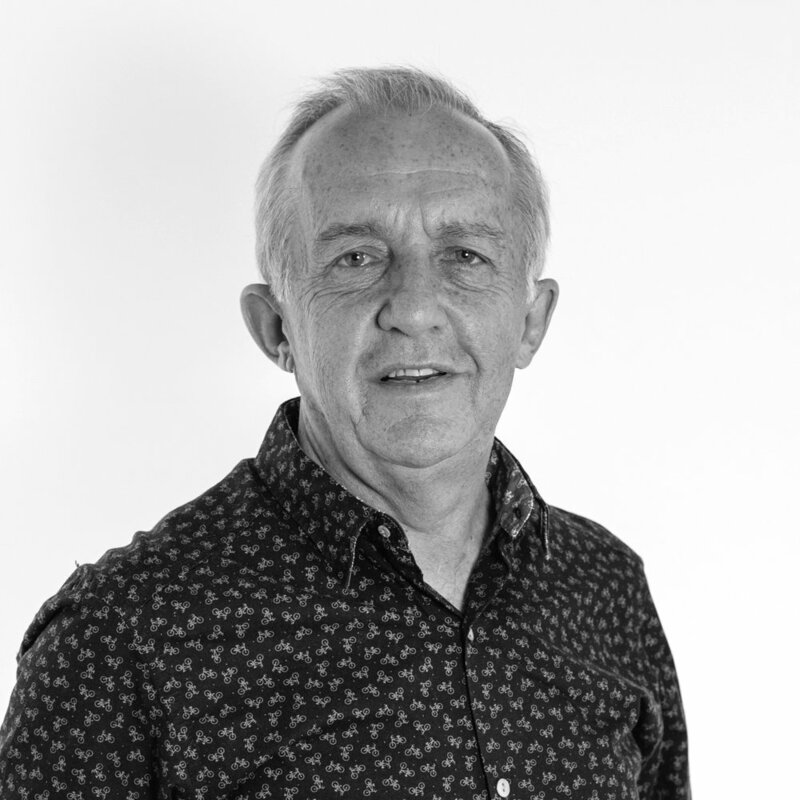 Tommy brings his vast experience from both sides of the table as a client and an integrator. Tommy understands what it takes to deliver new complete builds or upgrading your system. Tommy has experience working with houses of worship, education, corporate, and performance venues. Daniel has loved Audio Visual as long as he can remember. His passion first began in youth when his father taught him to run sound at their church. He majored in Theater during college and learned more about lighting and sound. His interest was piqued and Daniel decided to continue in the field. He spent the next eleven years learning audio visual from the inside out, beginning as a warehouse technician, moving up through project management, and eventually managing and training his own audio visual teams at a large national AV production company. Daniel is excited to join the talented 5 Words Media team and to bring his strengths of customer service and detailed consistency to the clients he will serve. Daniel started his first pro AV job in 2013 at the age of 19 installing commercial audio visual and lighting systems for clients such as Intel, Wells Fargo, American Express, ASU, NAU, GCU and Waste Management. Since then he has grown to love everything technology and served as the tech manager at Grace Community Church’s “Gracie’s Thrift Store” for two years. He currently works with Grace Community Church’s production team as a volunteer managing productions and operating cameras. Daniel is very excited to start on a new chapter in his technology career and can’t wait to bring his experience and drive to the 5 Words Media Team. At 5 Words Media we are so excited for #2019! With two out of state jobs and 3 other large jobs in the first quarter of #2019, we are feeling so blessed. We would like to thank all of our manufactures, customers, and partners. To God be the glory! The Dwell Conference, held at Living Streams Church this February, was a place for creative teams to learn, grow and worship together. 5 Words Media was happy to bring its #5wordsdifference by supplying all the lights and videos walls. It was a truly an awesome event and a blessed time. #techtuesday at @pureheartchurch with @electrovoiceofficial and DB Technology. Happy Independence Day from the 5 Words Crew! Things are coming together at City Station! We’re really getting excited to show off our #5wordsdifference at their launch on June 23rd. Rex Witt has spent the last 5 years working in the general construction industry learning aspects from multiple trades. He also serves his church and other ministries in video production and photography. He is very excited to be a part of the 5 Words Media team and shares their passion for excellence! Casey is a passionate enthusiast of AV production. His interest & involvement with production in the church spans 9 years & his passion for sound is his focus. Casey is thrilled to be a part of the 5WM team and just graduated with a degree in Worship Arts from Grand Canyon University & is driven to deliberately serve the people inside & outside 5WM full-heartedly.